Geoff Cleland Apps was born in 1949 and grew up near the Chiltern Hills, where he cycled in the woods. Later he switched to motorcycle trails with the Auto-Cycle Union (ACU). However he was unhappy with the noise and environmental impact of motorcycles so began to modify conventional road bicycles for off road use in 1964. 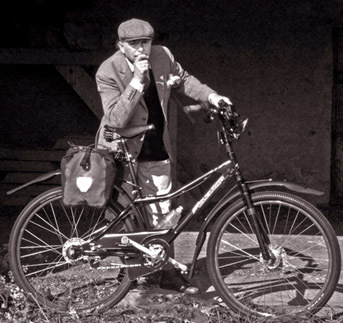 From the early days of modifying his Raleigh Explorer road-bicycle he started to source parts from both the cycle and motorcycle industry to create a lightweight off road bike designed for the muddy conditions in the UK. The primary focus of these machines was touring, with comfort and reliability being rated higher than speed. Things in the mountain bike world may of been a lot different if Geoff had lived in the States and met up with what we think of as the conventional pioneers of MTB, such as Chalie Kelly and Gary Fisher. However he did correspond with them and was instrumental in introducing Gary Fisher to the advantages of larger wheeled MTBs. But because Apps designed his first bikes with out any knowledge of the US bikes his designs have a very English feel to them. Geoff has published a couple of books, one on cycle maintenance and one on cross country cycling, co-authored with James McGurn. Whilst these are not currently in print they can be obtained second hand from Ebay, Amazon or Abe Books. He was also the co-founder of Making Tracks, one of the UK’s first magazines written about off road cycling. Geoff was also instrumental in setting up the 1984 “Wendover Bash”, which was only the second UK cycling event to include cross country. It was also the first include downhill racing, trials riding and a hill climb event. This multidisciplinary approach was then adopted by Apps’ associate and Cleland frame-builder Jeremy Torr, when he co founded the Mountain Bike Club in 1986. And so this became the standard format for UK mountain bike competitions, until the involvement of British Cycling in the 1990’s led onto separate events for each discipline. Apps was also influential on the early leisure mountain biking scene. In 1982 he started the UK’s first monthly mountain bike ride from Wendover Buckinghamshire. This monthly ride format was then copied by others, firstly with monthly rides in Surrey and Hertfordshire. By 1987 a nationwide network of over 20 ‘regular monthly rides’ was established under the auspices of Apps’ Cross Country Cycling Club, and its magazine Making Tracks. Remember that these were pre-internet days. 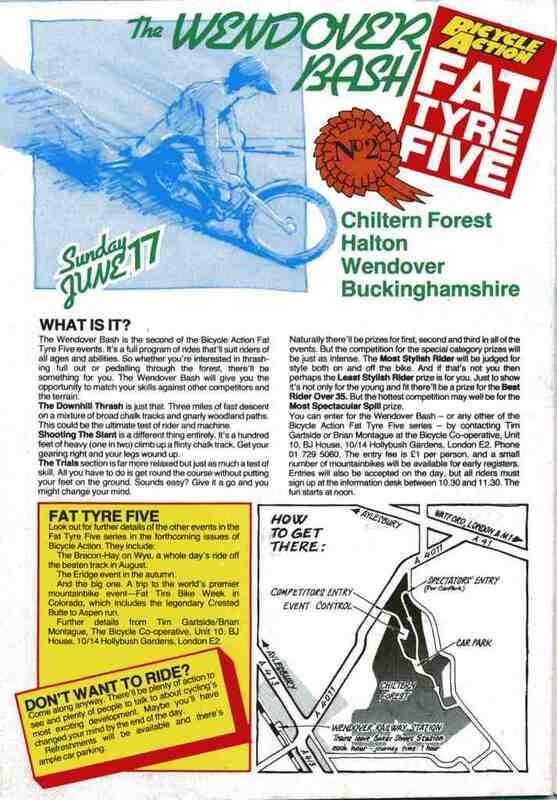 And so in 1986, starting a subscription magazine or newsletter was was one of the few ways able to advertise and promote non-competitive mountain bike events. Many thanks to Graham Wallace for his help on this article.